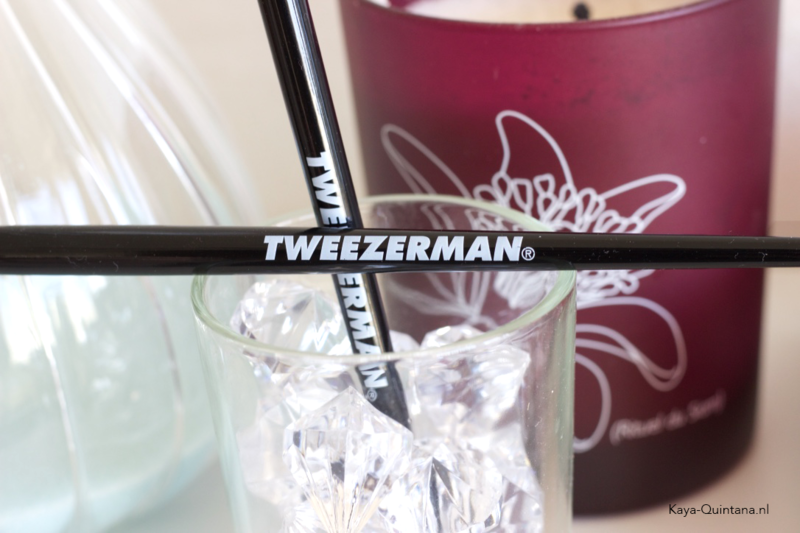 We all know Tweezerman because of their excellent tweezers. I’ve had one or two myself and really loved them. I was very surprised when Tweezerman’s PR agency told me they also have brushes. 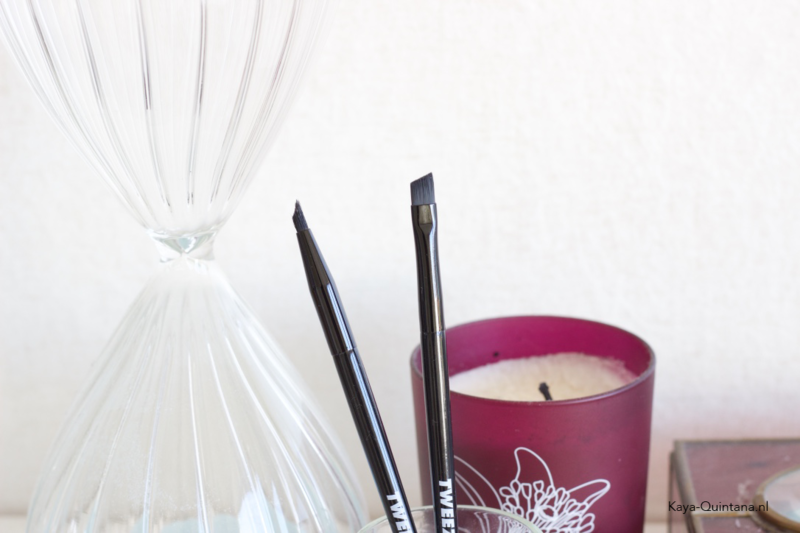 They were kind enough to send me two of the Tweezerman brushes* and I loved trying them out. I am currently on the hunt for new brushes and I find it quite hard to find the perfect set. Let’s see what I think about these Tweezerman brushes, shall we? First of all, I am happy to report that these brushes are made of synthetic fibers. Tweezerman calls them Natrafil® filaments and they are cruelty free. These brushes are supposed to feel and perform better than animal hair brushes. I always preferred synthetic brushes over the ones with animal hair. I think they perform just as good, if not better. These synthethic Tweezerman brushes already appeal to me because of the material. Now let’s talk packaging, because that is also very important. 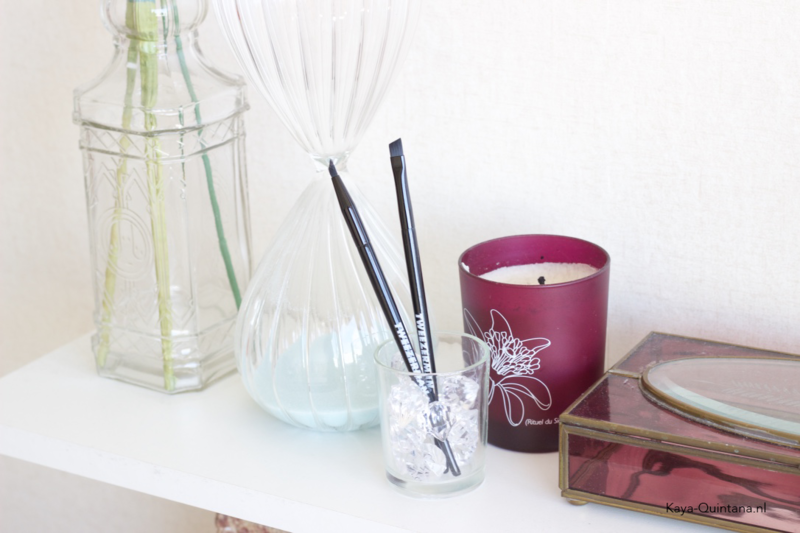 The brushes are only available in black and have a nice slender design. They don’t have a special look and they’re not girly, but that’s fine by me. I like my brushes simple and professional looking. These ones definitely do. I received the Line glider brush and the Brow brush. They both feel very light weight and are easy to hold. 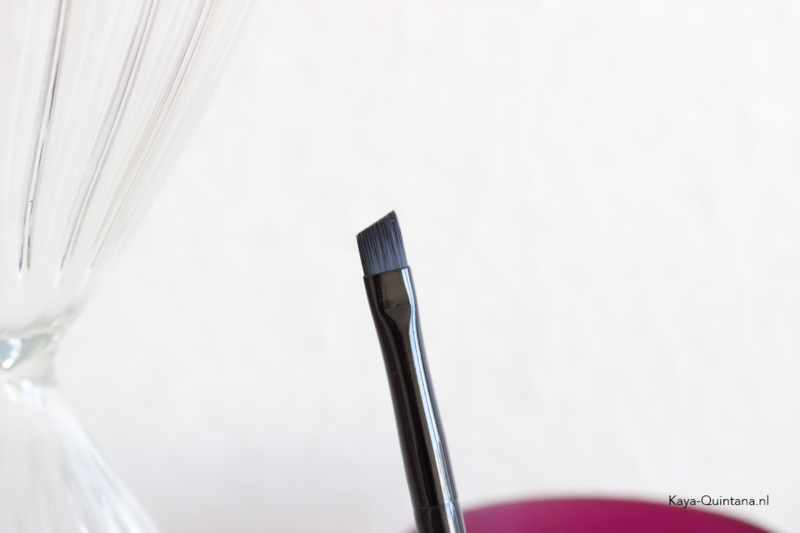 The Line glider brush is round and slanted so you can use it for gel, cake and cream eyeliners. I used this brush with eyeshadow because I like that soft shadow under my eyes. It’s too thick to use for a thin line, but it’s perfect if you want to create a smudged and smokey look. I thought it would be hard to use because I’m so used to my pencil brush. But it’s actually quite easy and pretty precise. I think this Line glider brush is perfect if you like creating smokey eyes. 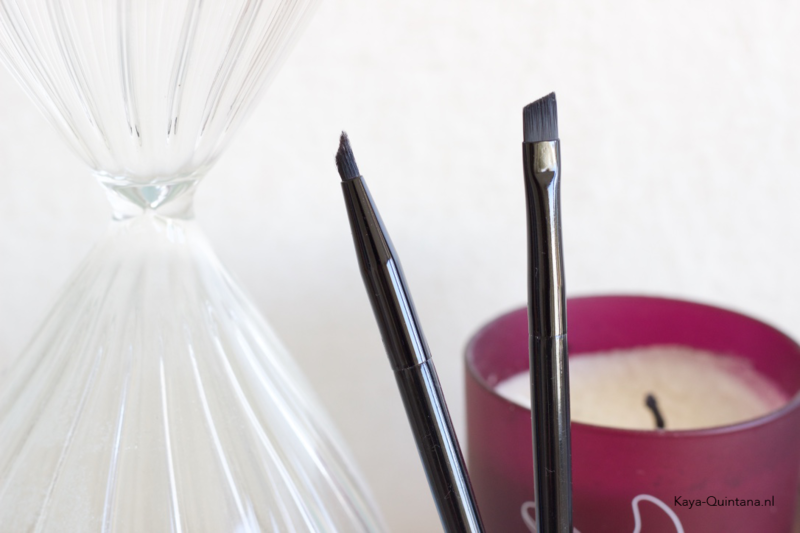 The Brow brush is perfect for drawing thin and straight lines. 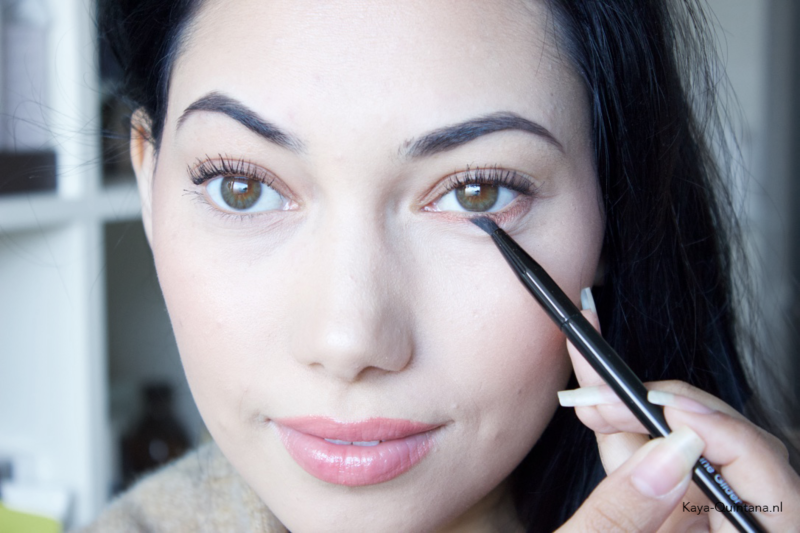 I always look for thin brow brushes because my brows are pretty slim. I like drawing thin lines so that they look picture perfect. 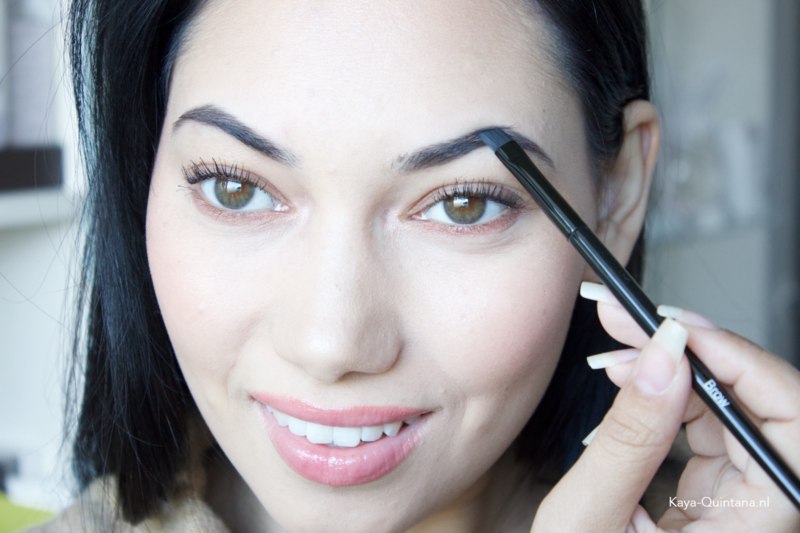 This Tweezerman Brow brush is sturdy enough to do that. 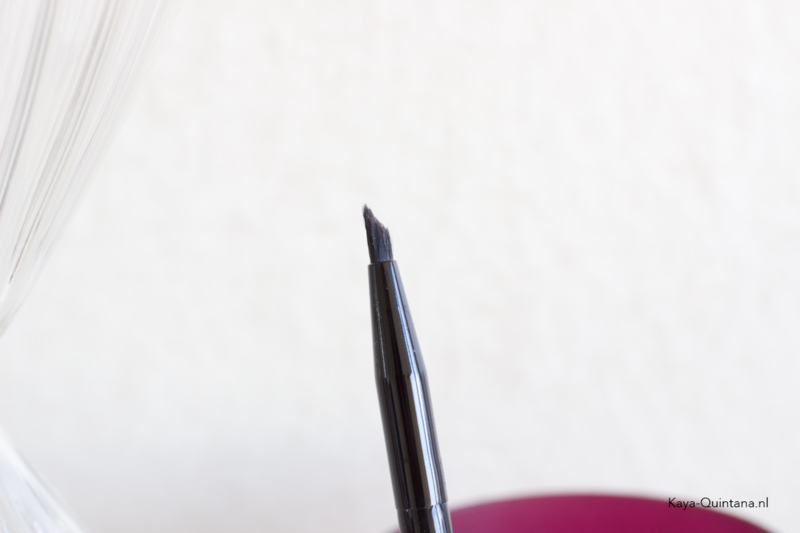 It’s also thin enough to use with a drawing motion, which is the way I like to use my brow brushes. I still have to test these brushes a little better, but the first impression is pretty good. The Tweezerman brushes are pretty affordable in my opinion. The Brow brush costs €14,95 at Douglas. The Line glider brush is priced at €17,99 and is now on sale at Wehkamp.nl for €12,99. If you are looking for synthetic (vegan) brushes, I think these ones could be a good start. They also sell powder, eyeshadow, blush, contour and foundation brushes. Tweezerman also has some nice brush sets available. Would you buy a Tweezerman brush? P.S. Read more beauty articles to find the best products for you. Find the best brush deal here!